Always there for you! is our philosophy at Door Doctor. 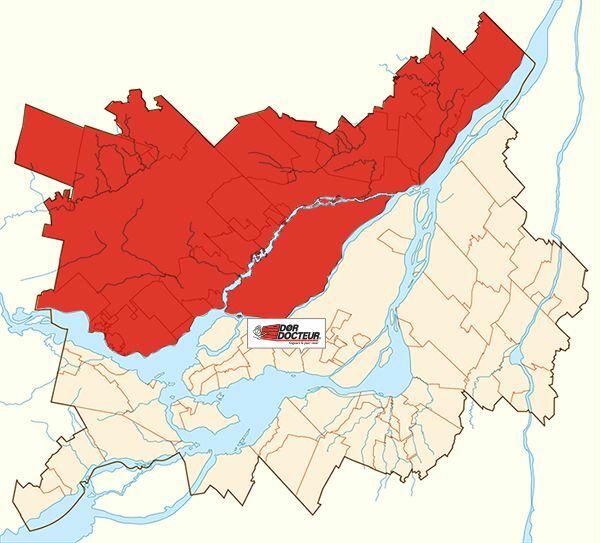 Thus, we make all our products and services available in Laval and the North Shore. We install and repair absolutely all garage doors of all brands for residential, industrial and commercial sectors. Our sales service offers the widest range of products that is regarding the garage doors, and our residential repair service is operating 24 hours a day, 7 days a week, as our commercial repair service, that everywhere through Laval and around the North Shore. All our products and services are listed below, as well as all parts of Laval and the municipalities of the North Shore we serve. To make an appointment online, please click here.